Thermal Insulation There are 6 products. 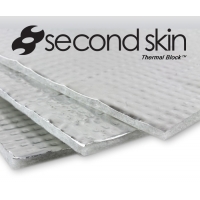 Apply one of our automotive thermal insulation mats on top of Damplifier or Spectrum coatings to reduce and dissipate stubborn convectional heat. 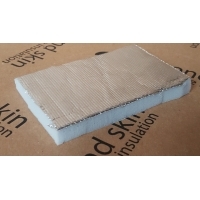 These thermal insulation mats are foil backed, light weight & flexible, perfect for reducing heat and noise generated from engines, exhausts or the summers sun. 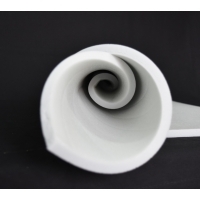 Firewall is a water based acrylic polymer, loaded with heat reducing ceramic spheres and thermal insulating glass beads. When applied to the sheet metal panels of a passenger vehicles, Firewall will reduce convectional heat and will insulate the passenger compartment. 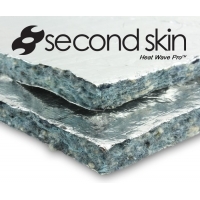 This is an enhanced version of melamine foam with exceptional water-resistance properties maintaining all other key attributes for sound deadening with a peel-n-stick side. A monster in blocking heat and sound - this is an aluminum foil-faced fiberglass fabric composite on top of Mega’Zorbe hydrophobic melamine foam.